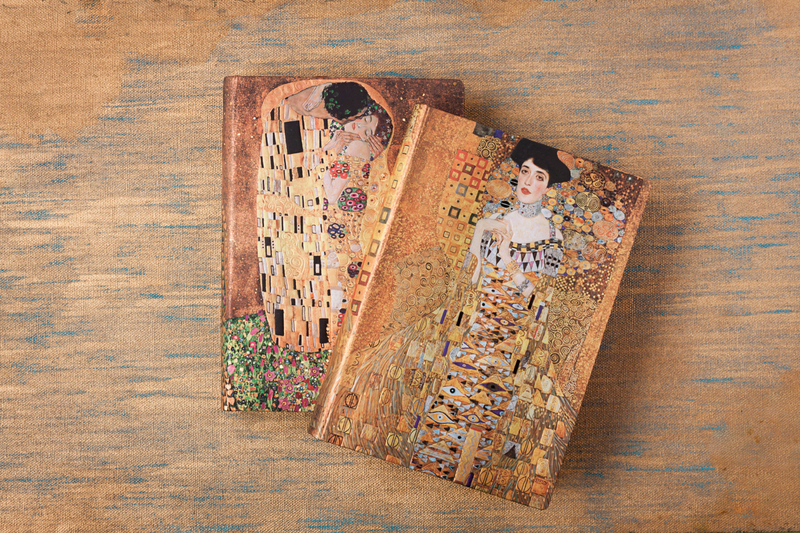 Home Our Designs Gustav Klimt Is Officially a Paperblanks Cover Artist! 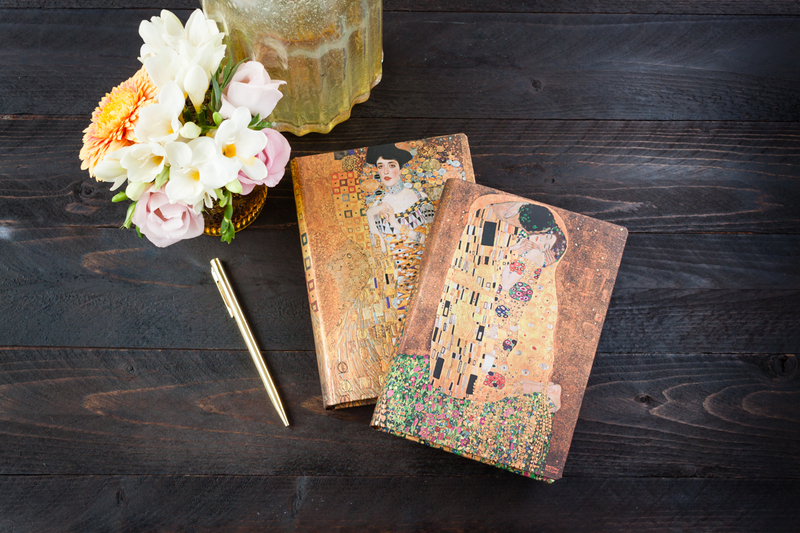 Gustav Klimt Is Officially a Paperblanks Cover Artist! Gustav Klimt attended the Vienna School of Arts and Crafts where he trained as an architectural painter. As he painted interior murals and ceilings in public buildings, his technical ability endeared him to Vienna’s conservative haute society. 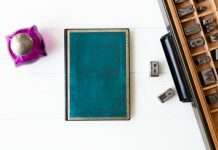 But soon his inner boundary-pushing style came through, causing too much of a stir for the culturally reactionary class who had initially welcomed him so openly. Three paintings he created for the University of Vienna were rejected – deemed “pornographic” – and so he took his talents elsewhere. Klimt’s response to the scorn was to found the Vienna Secession, an avant-garde movement that treated art as a space for exploring possibilities rather than following the academic tradition. From then on, he was an artistic renegade contributing to the cultural fermentation of turn-of-the-century Vienna. He painted mostly portraits of the progressive society ladies who were his patrons. His works were often erotically charged, exotic, mystical representations, marking him as a Symbolist painter. Klimt was firmly convinced that there should be no separation between so-called “low” and “high” forms of art. 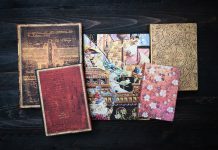 His canvasses were filled with organic forms reminiscent of the earlier Arts and Crafts movement as well as decorative patterns suggestive of Art Nouveau, both styles that were oriented towards this principle of universal art. 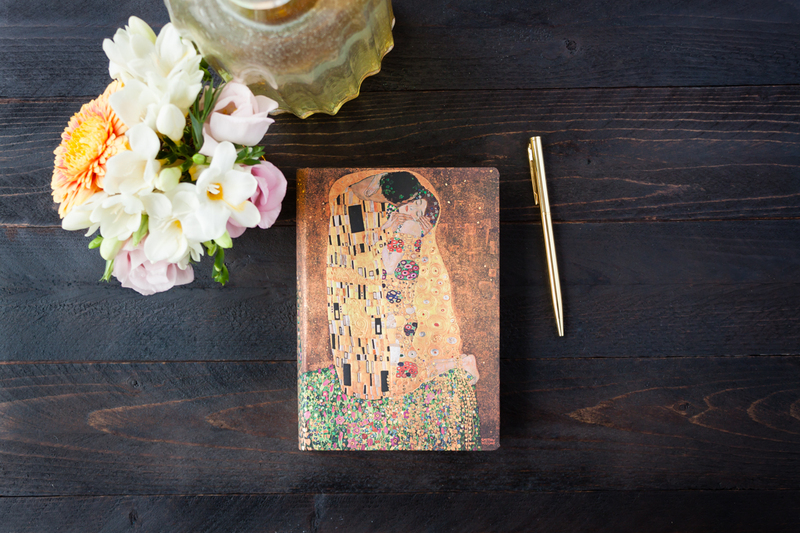 Featuring linear patterns and tender florals, Klimt’s famous The Kiss, reproduced on the journal cover above, shows itself as a direct descendant of these two styles. The speckled golden shimmer of the painting’s background, common to much of the work that Klimt produced during his “golden phase,” was attributed to his fascination with the look of Byzantine religious mosaics. He was also enthusiastic about traditional Japanese art, which would have inspired his flat backgrounds done with the use of gold leaf. Klimt engaged in many affairs throughout his life, but from the early 1890s until the last of his days he also enjoyed a loyal, though likely platonic, relationship with Emilie Louise Flöge, an Austrian fashion designer. It is believed that the couple captured in a moment of intimate rapture in The Kiss is a depiction of the painter himself and his lifelong companion. Although clearly unique to Klimt’s original style, his Portrait of Adele Bloch-Bauer I, pictured above, still fits within the currents of Art Nouveau and Symbolism. 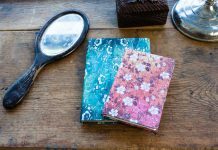 The rich patterns are an example of the former style, while the suggestive symbols, such as triangles, eggs and eyes, remind us that Klimt was receptive to the newest ideas circulating in Vienna’s salons – the “Meetups” and “TED Talks” of the early 20th century. 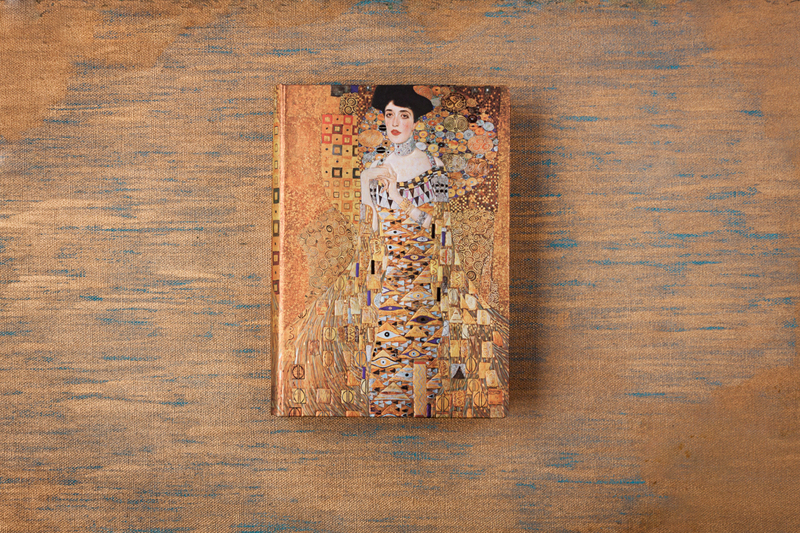 The liberal amounts of gold leaf that he used to fill the background and depict the armchair and woman’s gown were inspired by Klimt’s fascination with traditional Japanese art and the mosaics that he saw during his travels to Venice and Ravenna. For all the ostentatious quality of the painting, this portrait of one of Klimt’s patrons is a beguiling image projecting the strength and sovereignty of Vienna’s society women. 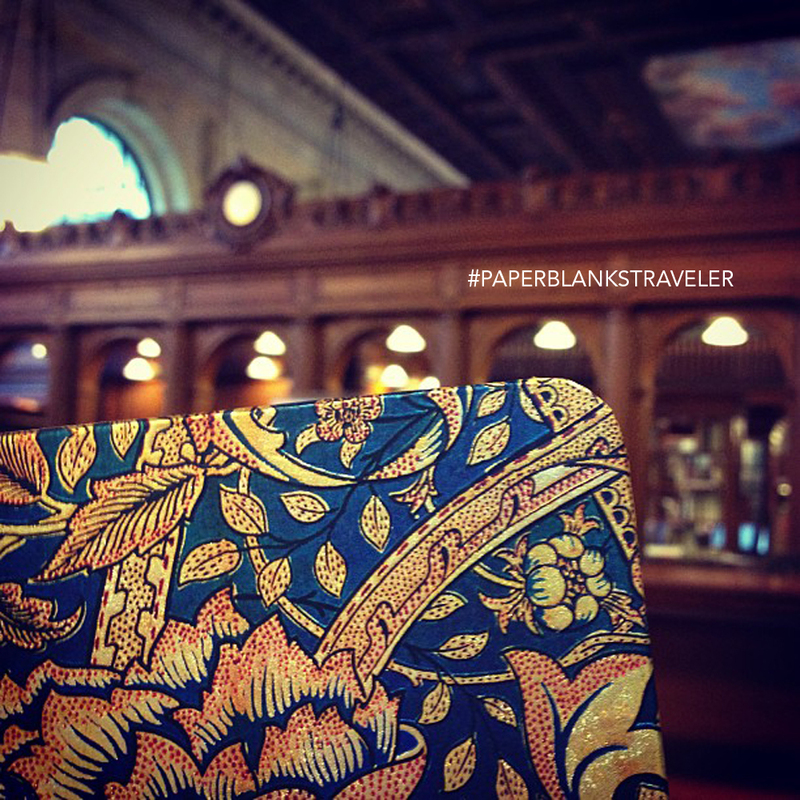 As a symbol of its vibrant time, it is an essential addition to the Paperblanks archive of artistic and cultural heritage.